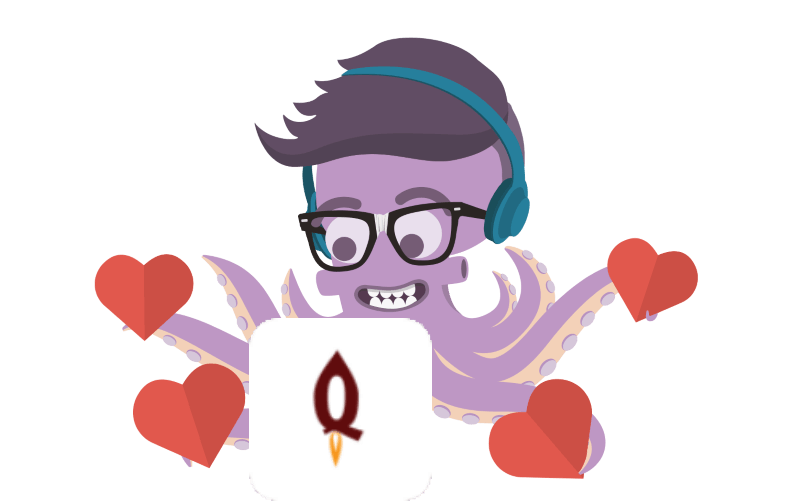 Install our plugin on your Plesk installation and test the performance of your site. 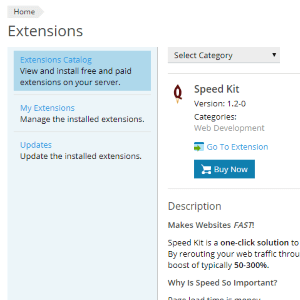 Buy a Speed Kit license in the Plesk store and activate it for your website. On average, Speed Kit makes a website 50-300% as it automatically applies network optimizations and sophisticated caching. 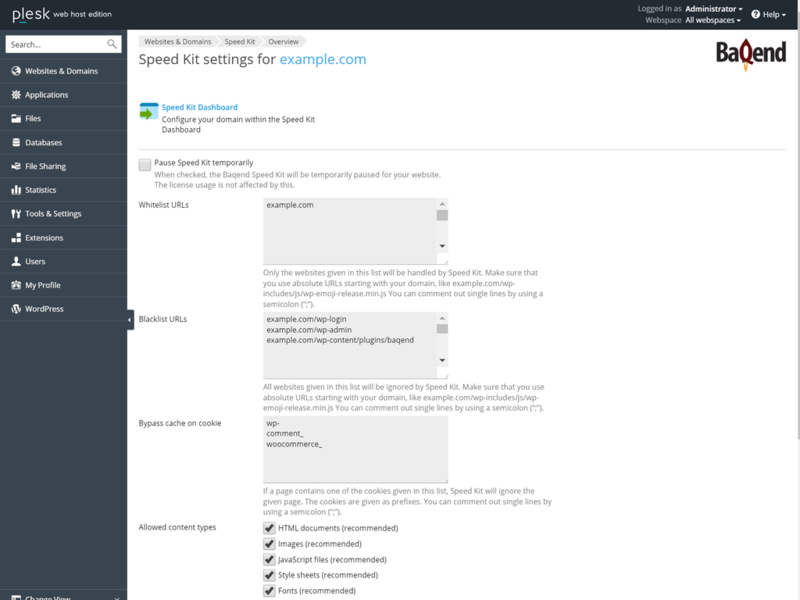 Install the Speed Kit extension on your Plesk server. 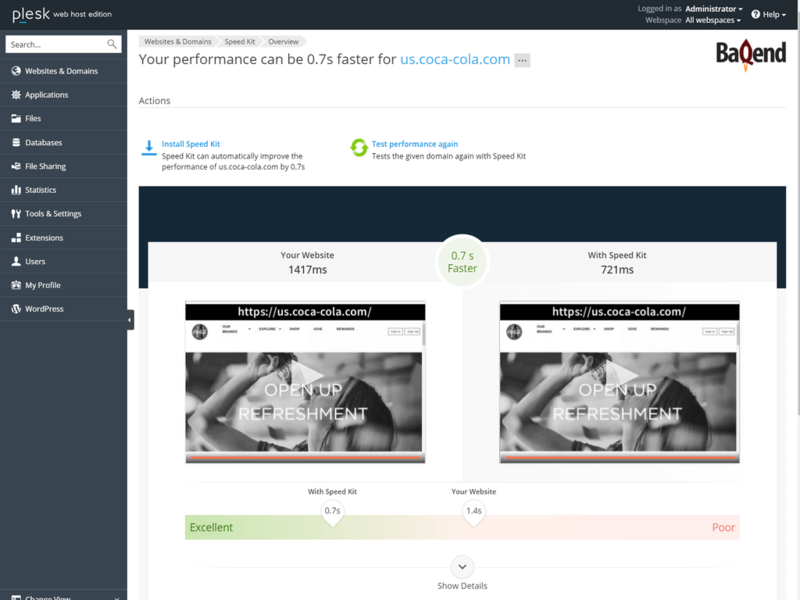 It will generate a performance report for each of your domains. Buy a Speed Kit license in the Plesk store and activate it for the domains that you want to accelerate. Simple integration from the Plesk UI. 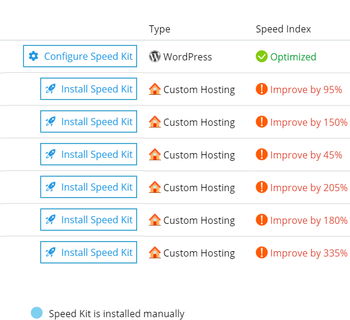 Speed Kit keeps your Plesk domains state-of-the-art in web performance. Speed Kit is the perfect tool for Publishers, Landing Pages, E-Commerce, Portals, and Agencies to make their websites faster and the backend scalable to more users. One-Click solution for your WordPress installation. When your website loads a resource (e.g. an image or script), Speed Kit accelerates those by intercepting the HTTP request. Speed Kit routes the request through our caching infrastructures and optimze it (e.g. automatic image optimization). 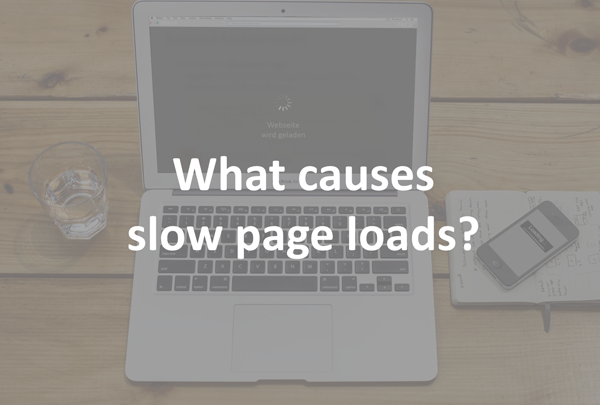 In most cases, the response is already cached and returned with very low latency.